In this weeks blog we hear from Will, who is a student at Derby College studying IT. 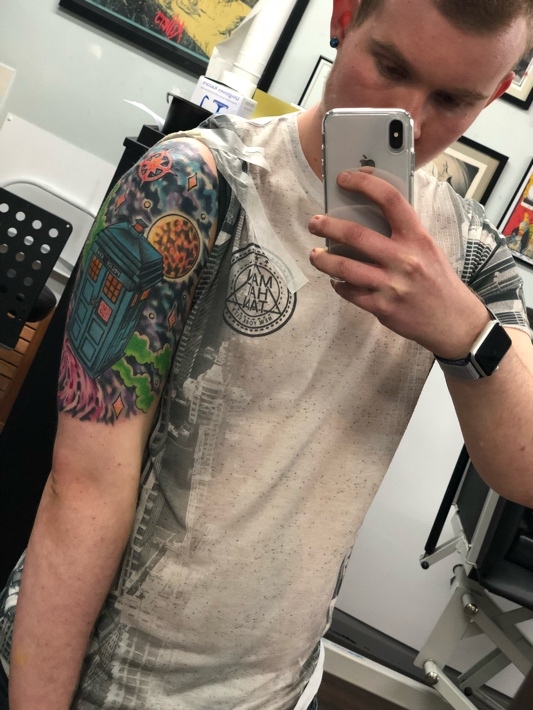 In his first ever blog piece Will talks about his special interest and love for Doctor Who, and he even mentions who is favourite Doctor is! Hello firstly I would like to introduce myself my name is Will, I’m 19 years old and studying Level 3 IT at Derby College. Recently I started working with Autism East Midlands its been amazing and I would like to discuss my passion and interest for Doctor Who as we have just past the 55th Year anniversary mark of Doctor Who I couldn’t be happier. I have been a Doctor Who Fan since March 2005. My favourite Doctor is David Tennant because I love the way he plays the part as the Doctor, his acting of the role just took off from Christmas Day 2005. My dad first introduced me to Doctor Who and since day one I have been loving it through time and space it is an amazing show…. Going forward 13 years to 2018 and you will all be aware that Doctor Who has had a massive change with Jodie Whittaker taking over the role and as we approach the end of her first series I think that she has done an amazing job playing the Doctor in her first series, a whole new dynamic has taken place in 2018 with Doctor Who. I feel that the time was right to have a female Doctor, when she was first announced in July 2017 after the Wimbledon’s men’s final I burst in tears of happiness because they have finally done it and cast a woman as the Doctor and I feel that it is amazing what has been done. At the end of the day, she is still the Doctor and she will be in history even when she leaves the role, she has been amazing and Doctor who is capable of the most incredible change, it is a show that evolves while staying to true its dynamic of a sci-fi series. Also Mentioning being a massive Whovian I have a Doctor Who tattoo sleeve on my left arm as you see. My Passion for Doctor Who is out of this world and I love the show so much, 2018 has been an amazing year, going to my first comic con meeting past doctors and companions. I love this amazing TV Show so much.